To begin the registration process for membership in your federation and the AUSKF click on the "Pay Dues" link found in the drop down link under your username on the home page or in the navigation link in your profile area. This link will always be available. Be sure that you have edited your profile and assigned yourself to a dojo. The first step in the process is to verify your information. 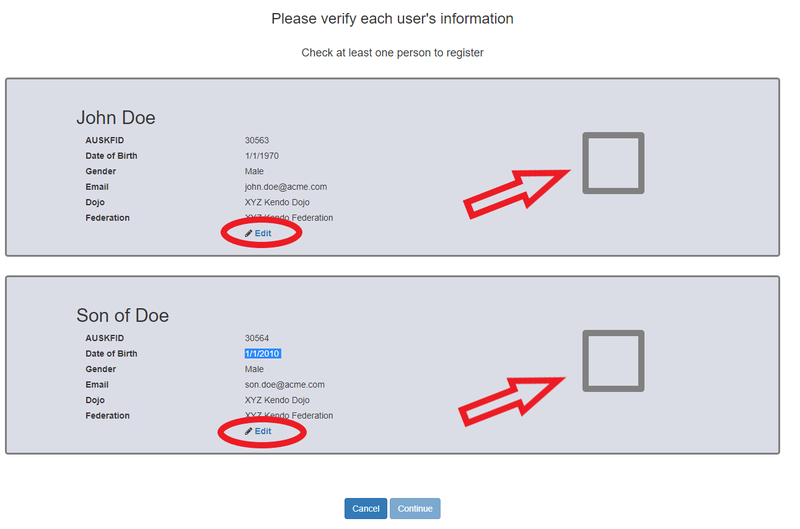 If you have dependents on your profile then they will be displayed here. You can pay for any combination of users displayed on this screen. Select their checkbox to continue. If you are the only one displayed, because you have no dependents on your account, then simply continue. After verifying your information you will need to read the waiver. Typing in your name provides an electronic signature. 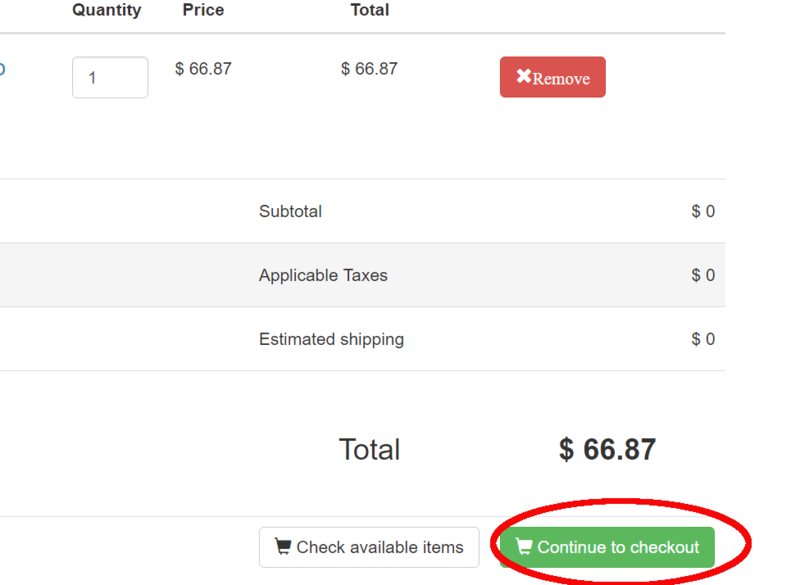 Click the checkbox under the signature textbox to enable the "Continue" button. After accepting the waiver will be preseted with a list of membership products. If only one is available to you it will already be marked with a green checkmark. Once you are ready to proceed you can click one of the two buttons available. The first one will save a registration record to the system and mark it as unpaid. You will be expected to submit payment by other means (such as a check mailed in to the federation secretary or treasurer). 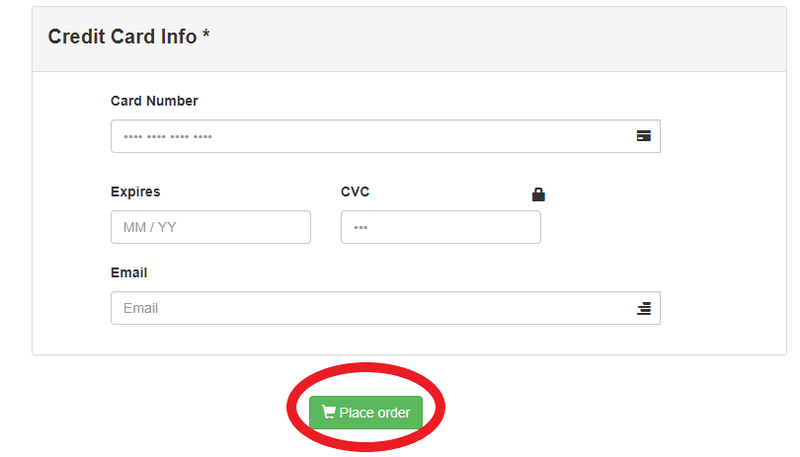 If you click "Register (And Checkout)" a registration record will be created in the system and marked as unpaid until you finish paying by credit card. 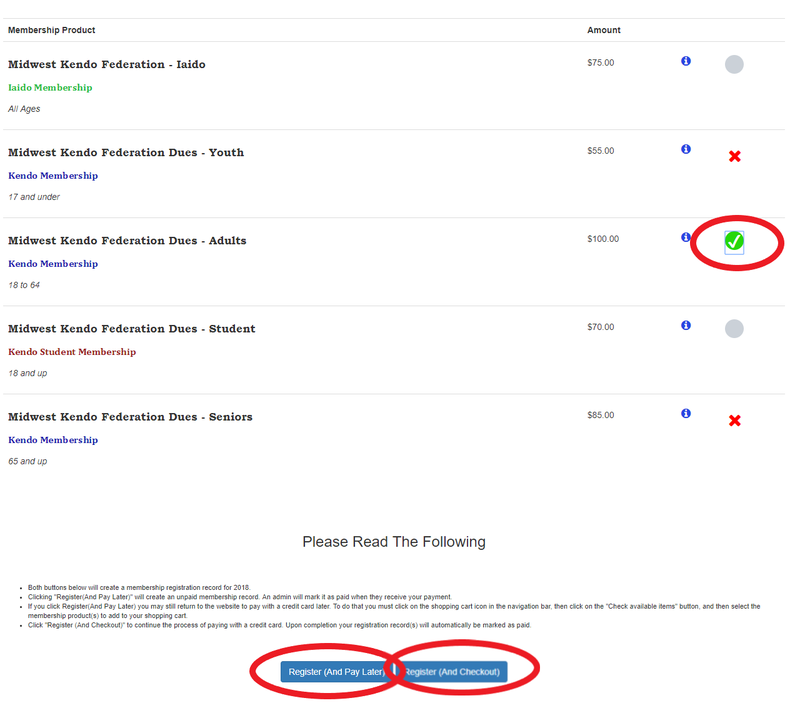 If you chose to pay later then you will not see this page. If you plan to pay by credit card then you will be presented with your shopping cart. 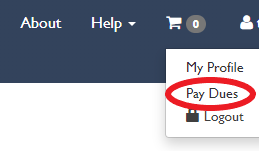 Click "Continue to checkout" to provide payment information. This page is a standard online credit card payment page. We do not store your credit card information. It will be securely transmitted to a third party vendor to finish payment processing. Click "Place order" to complete your membership registration process. This order can be found in the order history page of your profile. We detect that you are using Internet Explorer to view this website. Unfortunately Internet Explorer does not work with our site and certain technologies it relies on. We kindly ask that you use a different browser and recommend any of the following that can be found here.